Growing up in the area through elementary and high school, Green Bay Packers cornerback Sam Shields has seen his fair share of violence just in his old neighborhood. Denver Broncos secondary Dominique Rodgers-Cromartie could say the same, since leaving the streets of Bradenton to play in the big leagues of the NFL. But both veteran athletes are spending their offseason in a different way than most, teaming up with the Sarasota Police Department to promote the “Stop the Violence” celebrity basketball fundraiser set for tonight. The event aims to bring awareness to crime in the community, with Shields and Rodgers-Cromartie assembling teams to face off at Booker High School at 6 p.m. Both players are using the basketball game as a fun-filled family event to help build relations in the area. For Rodgers-Cromartie, a Bradenton native and Lakewood Ranch high school football star, coming back to Sarasota was a chance to contribute to the community. Even Shields, who has grown up in Sarasota and graduated from Booker High School, has personal stories of scarring violence he has experienced. They are memories that both athletes would like to change, especially in their home areas. With hopes of a high turnout, all proceeds will go toward funding youth recreation at the Robert L. Taylor Community Complex on 34th Street. 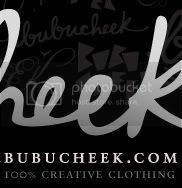 The game will be at Booker High, 3201 North Orange Ave.. Admission is $5. Gates will open at 6 p.m., with tip-off at 7 p.m.
Danny Valencia no longer is with Triple-A Norfolk. I've heard that he's headed to Texas and will officially be recalled before the game. Valencia is batting .230/.277/.508 with five doubles, four homers and eight RBIs in 21 games with the Orioles this season. He's posted a .282/.317/.487 line against left-handed pitchers. Valencia was batting .314/.350/.607 with 18 doubles, 12 homers and 44 RBIs in 48 games with Norfolk. He's mostly been playing first base since being optioned on July 3, but will resume his role as a right-handed designated hitter and pinch-hitter with the Orioles. The Orioles optioned Valencia to make room for Scott Feldman on the 25-man roster. How will they make room for Valencia on Friday? One possibility is putting outfielder Nolan Reimold on the disabled list. Reimold, who's out of minor league options, is batting .195/.250/.336 this season. He's 6-for-27 with one home run and 11 strikeouts since being activated. Reimold went on the disabled list May 18 with a strained right hamstring. Don't worry. Graham isn't getting snubbed on this list like his stunning omission from this year's NFL Network's top 100 list, which is voted on by players around the league. Of course, Graham had a disappointing year in 2012 -- by his lofty standards, anyway. He led the NFL with 14 dropped passes, according to ESPN Stats and Information (he had 15 according to Pro Football Focus, though that service didn't rank him as the league leader). But even in that "down year," Graham still put up elite numbers for a tight end: 85 catches for 982 yards and nine touchdowns in 15 games. Graham is one of the most dynamic weapons ever to play the position in the NFL. Now he's fully healthy after battling a wrist injury that plagued him all of last season. And he insists that he is "hungrier than ever" to get back to an elite performance level. 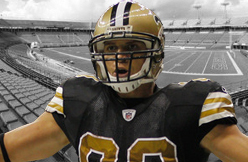 Throw in the fact that coach Sean Payton is back, and there is every reason to expect Graham's production to be closer to his incredible 2011 level (99 catches, 1,310 yards and 11 touchdowns). Frank Gore, at 5 feet 9, isn’t the tallest player in the NFL, but he had a few feet on the people he was surrounded by at the Michael-Ann Russell Jewish Community Center. The former Miami Hurricane walked in the front door Tuesday decked out in his black and red San Francisco 49ers gear and made his way through the summer campers to the back of the center, where Bommarito Performance Systems (BPS) is housed. On the artificial turf, Gore was more at home amongst his own. The 30-year-old running back joined a group of about 10 other running backs and 30 other NFL players for the start of training. 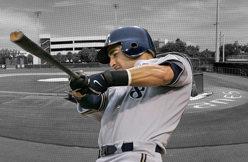 Bommarito started his company in 2004 after working at the IMG Sports Academy in Bradenton. The center has two locations, one in Davie and the main location in North Miami Beach within the Jewish Community Center. Bommarito says most players attend training at the Miami Beach location because it’s bigger and centrally located. With about 75 employees at both locations, BPS helps athletes with training in footwork, strength endurance, power, agility, movement, position work and aquatics. The center also offers nutritional guidance from a private chef, physical therapy, massage therapy, chiropractics and Pilates and yoga classes. The company also has programs for youths, high school and college athletes. Most recently, BPS hosted and trained Plantation’s Sloane Stephens before her Wimbledon outing. It’s the center’s NFL draft prep that Bommarito credits with drawing NFL players back for year-round training. 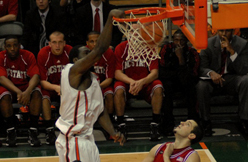 It’s what drew Gore to Bommarito after graduating from Miami. Gore went through Bommarito’s draft prep before being drafted by San Francisco in 2005. 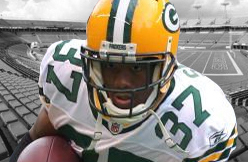 Gore is part of a large group of running backs who turn to BPS in addition to their training regimen. Running backs Maurice Jones-Drew (Jaguars), Jonathan Dwyer and Le’Veon Bell (Steelers), Rashad Jennings (Raiders), Andre Brown (Giants), Isaiah Pead (Rams), Ahmad Bradshaw (Colts), Ben Tate (Texans), Giovanni Bernard (Bengals), Jonathan Stewart (Panthers), Mikel Leshoure (Lions) and Lamar Miller (Dolphins) are all a part of this summer’s crew. “Seeing all the guys I compete against, a young batch, I can compare my speed and my quickness against their quickness. It lets me know that I’ve got a lot more left in my tank,” Gore said. Besides the running backs, BPS sees its fair share of former Hurricane players. Along with Gore and Miller, former Hurricane and current Pittsburgh Steelers cornerback DeMarcus Van Dyke was one of the first players out on the turf Tuesday. He was joined by his cousin, David Van Dyke, a Tennessee State University defensive back and Booker T. Washington graduate. Like Gore, it was Bommarito’s draft prep that brought Van Dyke to the center in 2011. Bommarito Performance has trained more than 200 NFL players. In the weeks before NFL training camps officially start, Bommarito had almost the entire Baltimore Ravens team out on the turf and in the weight rooms of the community center. The team departed from Miami at the beginning of the second week in July to attend longtime Bommarito trainee Torrey Smith’s wedding on July 11. Can Jonathan Vilma return to form? We’ve hit the home stretch of the offseason with precious little time remaining for players and coaches to get their non-football lives in order. The first practice for the 2013 season is Friday, July 26. WWLTV.com will take a look at 10 questions for New Orleans entering training camp and the season. They’re in no particular order, just numbered. We’ve love to get your thoughts on each day’s topic. Leave your comment below or on the station’s Facebook page to further the discussion. 8. Can Jonathan Vilma return to form? 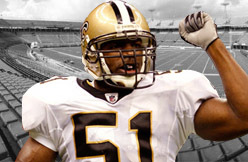 Talent and effort have never been Saints linebacker Jonathan Vilma’s issue. For every season that he has been healthy, he has finished with no fewer than 116 tackles. But two things don’t play in his favor heading into the 2013 season. A) New Orleans’ switch to a 3-4 defense B) He’s 31 and has had several big knee surgeries. 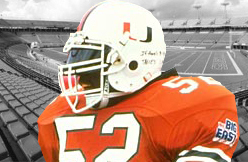 We’ll start with A. Vilma is a true 4-3 middle linebacker. He’s an on-field coach, one with the specific skills to single-handedly get the defense in order while tending to his own responsibilities. In the move to the 3-4, he’ll have to share responsibilities with Curtis Lofton and learn to attack the gaps in the offensive line differently. That turns our attention to B. Vilma was never the most athletic player on the field. He always understood the defense and how to use his knowledge of it to get into position. But coming off of two seasons in which he was never fully healthy due to a left knee injury that required extensive surgery in the ’12 offseason, one has to wonder if he has the physical tools still to succeed. If he can’t physically elude blockers or keep up with players out on routes, whether he can transition to a 3-4 from a 4-3 won’t really matter. Yet, he does have the size to succeed if his knee holds up. At 6-foot-1, 230 pounds, he’s basically the same size as the Dallas Cowboys inside linebackers in 2012 and we don’t need to tell you that Vilma’s new defensive coordinator Rob Ryan was with the team in the Lone Star State last year. And Vilma is a much more mature player now than he was when the New York Jets moved to a 3-4 and, according to the Newark Star-Ledger on Nov. 7, 2007, told friends he wasn’t happy with the 3-4 system Eric Mangini had in place. There are varying degrees in returning to form, however, and Vilma should return somewhere in the middle. He will undoubtedly be better than he was in 2012 when he spent the first week on the commissioner’s permission list before the next four were on the physically unable to perform list. The best example that shows there’s still some gas left in Vilma’s tank came in the final game of the 2012 regular season. He finished with a season-high 11 tackles and intercepted a pass while defending two others. 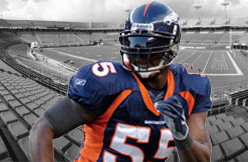 But it’s hard to envision him as the marauding middle linebacker of 2009 when he finished with 130 tackles, two sacks, three interceptions and eight passes defensed. 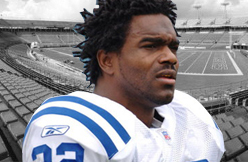 Edgerrin James is bringing his free kids camp back to Southwest Florida after a year hiatus. The Immokalee High School graduate’s Speed and Agility Youth Football Camp is scheduled for Monday, July 29 in Ave Maria. A retired veteran of 11 NFL seasons, James hosted the youth camp in Immokalee for three summers before field renovations at the location canceled the event last year. In 2011, the last time James put on the camp, more than 1,000 kids participated. The camp runs from 9:30 a.m. to 3:30 p.m. in its new location, Ave Maria’s North Park, 4010 Anthem Parkway. The camp is free to kids ages 6 to 18. Registration begins at 8 a.m. the day of the camp, and advance registration is available online at edgerrinjamesfoundation.org. James will be in attendance teaching the skills that helped him climb to 11th on the NFL’s all-time rushing list, mostly with the Indianapolis Colts. In past summers, James has brought several NFL friends with him, including former Redskins running back Clinton Ports, Colts receiver Reggie Wayne and agent Drew Rosenhaus. Fellow Immokalee grad Javarris James, Edgerrin’s cousin and a former NFL running back, also has been at previous camps. Yonder Alonso coming back Friday? 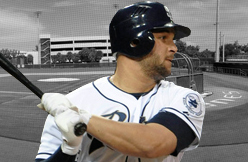 San Diego Padres manager Bud Black said there's a good chance 1B Yonder Alonso (hand) will return to the big club Friday, July 12. 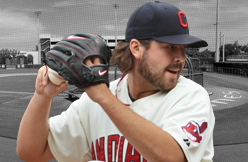 Fantasy Tip: This'll mean a drop in playing time for Kyle Blanks, who's been cold lately. Jesus Guzman will probably stick on roster instead. With some assistance from media members around the country, ProFootballTalk.com is unveiling its Top 100 players in the NFL for 2013. The list has been released in 25 player installments, with players 50-26 counted down on Monday. Two more Patriots appeared on the list, with nose tackle Vince Wilfork checking in at 45 and tight end Rob Gronkowski at 26. These two join linebacker Jerod Mayo (65) and guard Logan Mankins (68) among the Patriots on the list. Gronkowski, of course, has dealt with forearm and back-related issues this offseason and is currently rehabbing from a June procedure. Despite playing in just 11 games during the 2012 regular season, he finished with 11 receiving touchdowns, tops among all NFL tight ends. 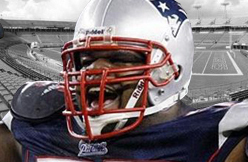 Wilfork, meanwhile, had perhaps his best season as a pro last year, earning First Team All-Pro honors as a result of it (the first time has done so in his career). The 31-year old anchored the middle of the Patriots defense with 48 tackles and two forced fumbles. The two also appeared on NFL Network's Top 100 Players for 2013 based on the vote of other players, with Gronkowski landing at 25th and Wilfork at 30th. 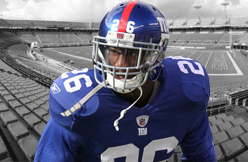 New York Giants defensive back Antrel Rolle has been fortunate enough to be named to two Pro Bowls (2009, 2010) in his career. Even though it has been awhile since he was invited to Hawaii, Rolle believes he has what it takes to make it back to the Pro Bowl in 2013. At the very least, the 30-year-old is convinced he can play at the same level as other Pro Bowl candidates. Rolle certainly dominated for the Giants last season in which he recorded a career-high 96 total tackles, two interceptions, one forced fumble and one fumble recovery. Whether his overall numbers were worthy of a Pro Bowl nod, there is no question his performance allowed New York to have plenty of success in 2012. In Rolle’s eyes, opposing offenses must constantly know where he is on the field or face the consequences of his superior talent. Shane Larkin had ankle surgery Tuesday, and while it’s a big setback for the rookie, it could have been worse for him and the Mavericks. With a stable of guards, led by Monta Ellis and Jose Calderon, both of whom are expected to sign their free-agent deals soon, the Mavericks have depth in the backcourt. They also are going to have Devin Harris and Wayne Ellington, both of whom are expected to be rotation players, although Harris’ toe injury may keep him out of the early portion of training camp and perhaps the start of the regular season. In addition, they have Ricky Ledo, a rookie shooting guard, along with Vince Carter, who can play both wing positions. So Larkin’s ankle fracture suffered Friday means he will be lost until at least the middle of training camp and possibly for the start of the regular season. But the Mavericks have the luxury of giving him time to get back to 100 percent. And it’s not always a negative for a rookie to be looking at a 60-game season instead of an 82-game season. “A significant injury is never a good thing,” coach Rick Carlisle said Tuesday. “But I’d rather this happen in July than October. 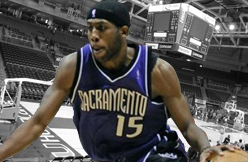 LAS VEGAS – John Salmons and his $7.6 million salary aren't leaving Sacramento in the immediate future. Tuesday night's deadline for teams to use the amnesty provision to shed salary passed without the Kings waiving the veteran swingman. For the first five years of the NBA's collective bargaining agreement signed after the 2010-11 season, teams can waive one of their players whose contract was in effect before the 2011-12 season. That salary would not count against the salary cap or for luxury tax purposes. The team still pays the waived player, but he is free to join another team, with his former club paying the difference in salary. Teams under the cap can bid on an amnestied player. If he clears waivers with no bids, he becomes an unrestricted free agent. Speculation about whether the Kings would use the provision on Salmons had persisted since last offseason. He struggled during the 2011-12 season, but the Kings weren't in a position financially to waive him and pay players to replace him. The Kings were looking to improve at Salmons' small forward spot this offseason and traded for Luc Mbah a Moute. DALLAS -- Mavericks rookie guard Shane Larkin has undergone surgery to repair his broken right ankle. The team says Drs. T.O. Souryal and Richard Levy performed the surgery at Texas Sports Medicine in Dallas on Tuesday. Recovery time is expected to be about three months. The former Miami point guard was the 18th pick in last month's draft. He was injured Friday in the last practice before the team flew to Las Vegas for summer league games. The son of Hall of Fame shortstop Barry Larkin is expected to battle for the backup job behind Jose Calderon, who signed with Dallas as a free agent. Conclusive news on whether Brewers outfielder Ryan Braun will sweat out an MLB-imposed suspension due to an investigation into a Florida anti-aging clinic could be several months away. At a meeting today with the Baseball Writers' Association of America, Michael Weiner, director of the MLB player's union, told reporters that he and other union officials would push to keep suspensions secret until arbitration hearings have concluded, as permitted under a 2002 agreement between the league and union. Weiner said any suspended players would attempt to defend themselves through arbitration, with hearings starting this fall, or possibly later, effectively delaying any announcements into the next season, according to the Associated Press. To keep news of the suspensions from getting out, the union would have to contend that the information used as justification for the discipline has not yet been made public. This portion of the agreement was designed to protect the reputations of players who succeed at exonerating their names, though some of that damage has already occurred, following investigative coverage in the The Miami New Times related to the Biogenesis clinic in Florida. The stories could prove problematic for the union and for Braun, whom MLB officials have attempted to question. 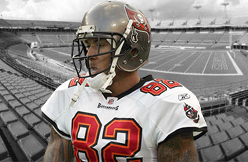 MISSION VIEJO, Calif. -- Kellen Winslow, Jr., only played in a handful of snaps last season, but the former Pro Bowl tight end has set some lofty goals for himself with the Jets. The Jets signed Winslow, who has 438 career receptions, including 75 in his last full season (2011), after his three-day tryout at minicamp last month. Winslow, who will turn 30 in a couple weeks, only had one reception last season before the Patriots released him. Rex Ryan praised Winslow’s skillset during minicamp, but the biggest question centers on the veteran’s ability to stay healthy. Winslow has been plagued by troublesome knees in the past few years. It’s the likely the Jets will manage his workload when training camp begins in a couple weeks. The Jets turned to Winslow to bolster a thin and inexperienced tight end corps that includes Jeff Cumberland and Konrad Reuland. While players like Geno Smith opted to skip Mark Sanchez’s annual Jets West passing camp, it hold plenty of valuable for Winslow. The Ravens won’t wait long to honor perhaps their greatest player of all time. The team will immortalize retired linebacker Ray Lewis in a Ring of Honor ceremony on Sunday, Sept. 22, during a Week 3 game against the Houston Texans. Lewis will be honored on the same day the Ravens take on his departed defensive partner of destruction, safety Ed Reed. Reed signed with the Texans this offseason. 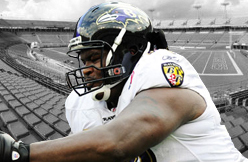 Shortly after the season ended, Owner Steve Bisciotti said the Ravens will erect a statue of Lewis outside the stadium. But it will not be ready by the time Lewis goes into the Ring of Honor. Lewis will join five other Ravens players, Owner Art Modell and eight Baltimore Colts are among those who receive the franchise’s most sacred individual honor. The other Ravens players inducted are running back Jamal Lewis (2012), kicker Matt Stover (2011), tackle Jonathan Ogden (2008), outside linebacker Peter Boulware (2006) and defensive end Michael McCrary (2004). Players enshrined in the team’s Ring of Honor exemplify a rare combination of talent and personal characteristics that the organization strives to achieve and maintain, including character, gratitude, vision, passion, competitive spirit, humility, faith and courage. Lewis embodied all of those traits over his 17-year career, ending with a second Super Bowl victory. It’s just the first of what will surely be many career honors that Lewis will receive, including enshrinement in the Pro Football Hall of Fame. San Francisco 49ers starting quarterback Colin Kaepernick adamantly defended his right to wear a Dolphins hat a week ago. Now, starting running back Frank Gore is in Miami, personally helping the team's running back improve. During a period of six weeks usually reserved for NFL vacations -- and legal problems -- Gore is doing two-a-days with Lamar Miller and reports indicate the 22-year-old Dolphins running back is benefiting significantly. 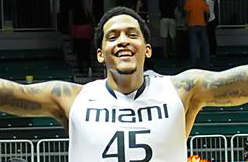 "It has been great working with Frank, and it is going to help me in my game," Miller told the Miami Herald. "He has given me a lot of tips." Miller reportedly joined Gore's offseason regimen at the advice of shared agent Drew Rosenhaus. Now, they are spending mornings working out with a group of players before splintering off to work with a trainer in the evenings. Miller, who in one fewer season came up 57 yards and two touchdowns short of Gore's impressive Miami numbers, grew up less than 15 minutes from the man he idolized through college. "I used to look up to all the UM running backs growing up because that’s where I wanted to go," Miller said. "I want to keep the legacy of the University of Miami going." Former Hurricanes have a history of training together, and Gore and Miller's partnership hasn't gone unnoticed. "The way Lamar is learning from Frank, it’s a beautiful thing," said Steelers' Sean Spence, who played two seasons at Miami with Miller. Those who have trained Miller, according to the Herald, cite his improved "work ethic and mentality," say "his footwork got a lot better," and indicate he now knows "how to take care of his body (and) what to do beyond what is required." 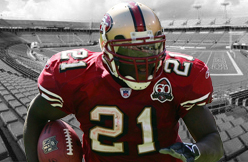 The developed characteristics are all hallmarks of Gore's successful eight-year NFL career, in which he has averaged 4.6 yards per carry and over six touchdowns a season. Miller is hoping the hard work will help him sustain his rookie success; he earned an average of 4.9 yards over 51 carries last year. "I’ve gotten quicker doing lateral work," Miller was quoted. "And I’ve become more explosive by training every day doing squats on my legs. I’m stronger." But his strength isn't what's turning heads in Florida -- it's his speed. The list of accomplished backs produced by Miami is impressive, boasting the likes of Edgerrin James ('96-'98), Clinton Portis ('99-'01), Willis McGahee ('01-'02) and Gore ('01-'04). But the 49ers' 30-year-old feature back reserved the highest praise for Miller. As long as it's a two-way street, and 49ers fans don't feel like their players are offering unreciprocated support, there shouldn't be a problem -- especially when you consider all the other ways Gore could be spending his six weeks off before the team convenes in Santa Clara for training camp on July 24. The most publicized positional battle heading into training camp for the Baltimore Ravens is at wide receiver, where there is a whirlwind of uncertainty at the position. Third-year wide receiver Torrey Smith has one starting job locked up, but it is a wide open race for the second starting job. Even when the other starting role is set, there still needs to be several contributors, as the Ravens will likely rotate their receivers more this year than in recent years. One player who is in a prime position to prove that he can be a key piece in Baltimore's offense moving forward is second-year wide receiver Tommy Streeter. Selected in the sixth round of the 2012 draft, expectations were low for Streeter last season, as he was the definition of a "raw" player. His physical attributes (6'5, 215 pounds) make him the most physically imposing receiver on the Ravens roster, however his physical skill set hasn't translated to success just yet. After an up-and-down 2012 preseason in which Streeter caught just four passes for 52 yards and a touchdown, the Ravens placed him on injured reserve. Perhaps Streeter's season-ending foot injury wasn't too serious, though, as the Ravens placed him on injured reserve because he simply wasn't ready and wasn't worth the time for him to heal on the active roster. But now with a year in the NFL under his belt - albeit without any game experience - Streeter could be ready to finally have his desirable skill set translate to on-field success. His biggest struggles in the 2012 preseason came from his inability to excel at the basics of being a wide receiver, such as crisp route running and being aggressive when the ball is in the air. According to BaltimoreRavens.com, Streeter was a common face at the Ravens' offseason program and is determined to assert himself as a legitimate candidate for a starting role in Baltimore. 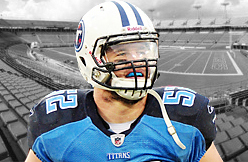 "I want to be unstoppable," Streeter told Garret Downing of BaltimoreRavens.com. "I want to be one of the top receivers in the NFL. Period." Streeter's renewed mindset and focus is a positive for the Ravens, and if he can play at a high level like he did in his final season at the University of Miami (46 receptions, 811 yards and eight touchdowns) he could be in line for a breakout season. Realistically, Streeter's expectations should be tempered to him being able to simply make the final 53-man roster and crack the regular rotation at wide receiver. Both of those goals are easily in reach, and it isn't out of the ordinary to believe he can become one of the Ravens' primary contributors at wide receiver, even if he doesn't win the starting job. Streeter's potential and physical skill set both give him an advantage over the likes of Deonte Thompson and Tandon Doss, and Streeter could easily finish above at least one on the final training camp depth chart. In 2013, Streeter should finally burst onto the scene in Baltimore, both as a red zone and deep threat. His 4.4 40-yard dash speed will give him the opportunity to stretch the top end of opposing defenses much like Torrey Smith and Jacoby Jones last season. With no inherent go-to player in the red zone, though, inside the 20-yard line is where Streeter could make his living this season. 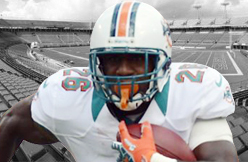 With the Dolphins depth chart thinned after Reggie Bush's departure to the Lions, there are high expectations for second-year running back Lamar Miller. 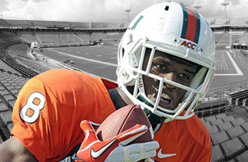 It sounds like the former Miami Hurricane is doing his best to fulfill them, too. According to Barry Jackson of the Miami Herald, Miller's in North Miami Beach being mentored by 49ers running back -- and fellow former 'Cane -- Frank Gore. The pair are working out twice daily along with other NFL players, including another former Hurricane: Steelers linebacker Sean Spence. “The way Lamar is learning from Frank, it's a beautiful thing," Spence said. The backs are also working with Pete Bommarito, who runs Bommarito Performance Systems and has trained a who's who list of running backs in the NFL. And Bommarito's praise of Miller is even higher. “He's the fastest running back I've ever seen,” Bommarito said. The trainer also noted that working with Gore has done positive things for Miller's "work ethic and mentality" toward the game of football. “Since Lamar started gravitating toward Frank, his work ethic and mentality are unparalleled," Bommarito said. So is the work paying off? 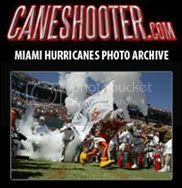 Gore praised Miller, saying he's the "fastest" Hurricanes running back of the last 20 years (a group that includes Edgerrin James, Gore, Clinton Portis and Willis McGahee) and likened the youngster to Portis. Miller says the result of his work with Gore is that he's "stronger" and "more explosive" than he was in his rookie season. "I've gotten quicker doing lateral work, and I've become more explosive by training every day doing squats on my legs,” Miller said. "[And] I'm stronger. Last year, I was kind of lost getting adjusted to the speed of the game and knowing where I'm supposed to be at all times. Now I'm very comfortable with the system." That's a terrifying thought for opponents looking to stop the second-year back. For the Dolphins, though, it provides early justification for their decision to let Bush walk on the open market and put their faith in a young running back who appears eager to live up to the expectations that surround his 2013 season. Can DeMarcus Van Dyke Make The Best Of His Speed? Last year, DeMarcus Van Dyke joined the Pittsburgh Steelers after being cut by the Oakland Raiders. Van Dyke was drafted by the Raiders in 2011, mostly as a result of his phenomenal forty yard dash time, which clocked in at 4.28, a time that was tops in his draft class. In his brief time with the Raiders, he earned playing time in 14 games and started four, recording one interception and one fumble recovery on special teams, but the downtrodden organization felt that his play contributed to an awful pass defense that surrendered 251 passing yards per game. Surprisingly, the team believed that Van Dyke didn’t have the ability to improve his game and become a better player in their system, and hastily, they cut him. And for the Steelers, they are hoping that what was the Raiders trash is their treasure. It would be fortuitous if Van Dyke could help this year. Upon joining the Steelers last season, Van Dyke dressed for nine games, primarily getting work on special teams, and early on, after his downing of a punt on the one yard line in the season opener against the Denver Broncos, there was optimism that he could be a solid contributor. However, as the season progressed, Van Dyke became a repeat offender for penalties, especially holding on return units, drawing the ire of Tomlin who threatened to bench him if his error-prone play continued. Unfortunately it did. Despite his gaffes, Van Dyke potential cannot be ignored. 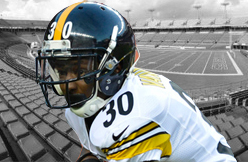 The Steelers are hoping that he can become more consistent in 2013 and be a reliable contributor on special teams, and possibly, provide for quality depth at the cornerback position in the event of an injury. And there is no reason why that isn’t a realistic possibility, being that Van Dyke did not have the opportunity to work through the offseason program with the team. Heading into the new season, Van Dyke, who was reported to begin working with Ike Taylor and training-guru, Tom Shaw, will have the opportunity to fully adapt to the terminology and schemes of the defense and special teams. If his speed can be harnessed productively and effectively by the coaching staff, he could make a case for himself in 2013. Van Dyke’s progress will be a mini-story line worth following in Latrobe in a couple of weeks. 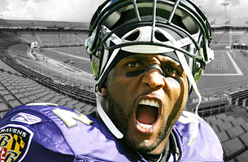 For former Super Bowl MVP and Baltimore Ravens linebacker Ray Lewis, it was more than his jersey number. “I promised myself that I wouldn’t run from pain; I’d actually chase pain,” Lewis recalled Saturday as keynote speaker for the No More Excuses men’s conference at Oak Cliff Bible Fellowship Church. The significance of those 52 cards? The routine gave him courage against his stepfather, whom he called the “most abusive man” he had ever lived with. Saturday’s conference was aimed at curbing male absenteeism and encouraging men to lead more God-centered lives. Oak Cliff Bible Fellowship senior pastor Tony Evans and gospel music star Kirk Franklin were also featured at the event, which drew men of all ages. Lewis said there are no excuses for today’s men to be absent from their families and communities. Certainly in his own life, he said, there was no valid reason for his father to have left him as a newborn with a 15-year-old mother stranded in the hospital. The bills she was left with were crushing, he said. A man whom his mother later began dating took care of the hospital bills. That man was named Ray Lewis, and as a youth, Lewis took the man’s name. Lewis said Saturday that having an involved father is critical. “I don’t care how good a mom is, how awesome she is, how spiritual she is. She can never teach a man to be a man,” he said. Lewis urged audience members to regularly look within themselves and assess their own character. “If you don’t try nothing else in life, go and look in the mirror and do an identity check every night before you go to bed,” he said. Strong character, he said, should include a relationship with God, “old-school teaching” of kids and being present as men in the community again. Julius Craig, 24, attends Oak Cliff Bible Fellowship and said he came to the conference because it addressed timely issues. “The idea of this conference, it’s impactful, and I think our community needs it. The idea of a real man is absent,” he said. Evans said that bringing in Lewis and Franklin made an important conference even more attractive. “We need to call them together to take responsibility,” he said. Lewis was just as frank. 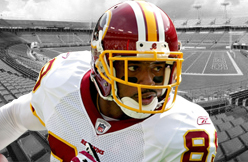 When many thought his career was winding down, Santana Moss enjoyed quite a productive season in 2012. While his reception and receiving yards totals did not come close to his career highs, Moss made the most of his touches. Hauling in 41 catches last season, Moss took almost 20 percent of his opportunities into the end zone, accounting for eight touchdowns. As a 5’10” slot receiver, Moss has proved his ability to get separation from defenders and find open space for over a decade in the NFL. Though it is unlikely Moss will ever recreate his near 1,500-yard season like he did his first year for the Skins in 2005, the shifty veteran gives RG3 a reliable option, particularly on third down. This season, Moss wil be 34, ancient in terms of NFL receivers. 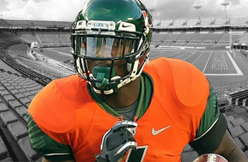 So what are reasonable expectations for the 13th year player out of the University of Miami? It’s hard to project Moss, because his value in the red zone outpaces his overall statistics. Hauling in eight touchdowns led all receivers on the Skins, but Moss did not even get to the 600-yard mark on the season. In recent Redskins memory, Henry Ellard provides a decent benchmark for Moss. Ellard, like Moss, was a smaller player, and had some of his best seasons late in his career with the Skins. For three seasons, Ellard broke the 1,000-yard barrier for Washington, and what’s important for the Moss comparisons was that Ellard did that in his early 30s. Unlike the running back position, where players rarely make it in their 30s, some receivers can continue to post strong numbers at age 33 or 34. Ellard certainly did that for the Skins in the mid-1990s, but he was the best receiver on a few bad teams. Former No. 1 overall pick Keyshawn Johnson accounted for 815 yards at age 34, bringing in four touchdowns. Johnson was a bigger, more physical receiver than Moss though. Jimmy Smith actually improved late in his career with the Jaguars, teamed up with Keenan McCardell and quarterback Mark Brunell. At 34, Smith reached the 800-yard mark, but at both 35 and 36 Smith hauled in more than 1,000 yards. Competing with Pierre Garcon, Josh Morgan and Leonard Hankerson for RG3’s attention, Moss will have to earn his reps this coming season. But like he has done for more than a decade, expect Moss to make an impact in 2013. While some are simply assuming the Bears defense will take a step backwards with Lovie Smith and Brian Urlacher gone, it’s important to remember that nine starters from a solid group return this season. That said, without No. 54, the defense certainly will have a different feel this season. Stepping in for Urlacher in the middle is newcomer D.J. Williams, who is a proven NFL linebacker, but comes in with his fair share of baggage. Williams has two DUIs on his record and was suspended for six games last season after failing a league drug test. The Denver Broncos released Williams in March and the Bears hope a change of scenery will pay off. Given the physical state Urlacher was in last season, Williams is almost certainly an upgrade in the middle athletically, but that doesn’t mean the Bears won’t miss Urlacher. Lance Briggs will take over the play-calling on the defensive side, so that should take some of the pressure off Williams, but he still needs to deliver with a big season. For as much criticism as Urlacher took last year, the season went downhill after he was lost for the season. Williams should be an upgrade over Nick Roach (who filled in for Urlacher in the middle), but he needs to prove he’s able to be a consisten sponge against the run while also dropping back in coverage when necessary. Simply put: this is the biggest question mark on the defense and while there’s optimism Williams will be able to fill the void in the middle, it’s far from a guarantee. Ravens LT Bryant McKinnie showed up to offseason workouts in "significantly" better shape than he was "at any point" in last year's training camp. The Ravens' internal hope is McKinnie will perform for 16 games as he did during Baltimore's four-game playoff run, when McKinnie allowed just two sacks and three quarterback hits in 286 snaps. From left to right, the Ravens' Week 1 O-Line is expected to read LT McKinnie, LG Kelechi Osemele, C Gino Gradkowski, RG Marshal Yanda, and RT Michael Oher. It's a very talented group. Monday night’s box score line for Dwayne Collins did not look like much, with two minutes and 41 seconds of play and all zeros behind it, but nobody emerged as joyous as he did from the Suns locker room, where Marcus Morris also came out after hitting a game-winning shot. Collins logged his first NBA-related minutes in Las Vegas, where he was last seen three years ago after the Suns drafted him with the draft’s final pick at No. 60 and he tattooed “Mr. Irrelevant” on his hand. Collins did not play in that summer league, having just undergone “minor” knee surgery. He never even made it to Suns training camp and barely even played basketball, only logging two exhibition games with an Italian team before heading home to Miami in 2010 because of the knee issue. Collins joined Coastal Construction as a laborer, putting paint on walls instead of being a wall in the paint as a sturdy power forward. Collins became a construction manager for Lennar Homes and continued feeling the knee pain until January, when relief from stem-cell and Regenokine procedures made him want to give basketball another try. Collins bumped into Suns players and staff on an elevator in Miami last year and was never cut by the team, paving the way for him to work out with the team the past three weeks. He took a leave of absence after closing a house in February and got to the point where the Suns made him a late addition to the summer roster. "Blessed beyond belief to have an opportunity to continue to play the game I love professionally! This is only the beginning of a great future ahead! St. Vallier, France here I come! #TGBTG #Blessed #Hungry"
I'm most excited about learning a new culture and lifestyle, obviously playing, and just going over there to have a positive impact on and off the court which is what i take pride in. I am working out here (in the U.S.), traveling between North Carolina and Miami, working camp down in Miami with the team and just enjoying being around everyone! P.S.- This team is going to surprise a lot of people! They are more athletic as a team now than we were last year! 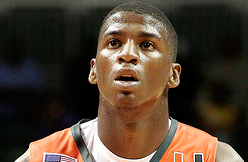 Unrestricted free agent swingman DeQuan Jones won't return to the Orlando Magic for the 2013-14 season. The Magic told him after their final summer league game this afternoon that they don't intend to re-sign him. Team officials parted ways with Jones on good terms, and the team will consider other ways to use his roster spot. Jones, who spent last season with the team and the last week playing for the team in the Orlando Pro Summer League, told the Orlando Sentinel via text message that he isn't coming back. Jones made his statement to the Sentinel after he sent several tweets thanking Magic officials and Magic fans for their support over the last year. 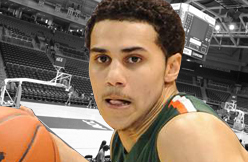 Shane Larkin suffered a broken right ankle during practice on Friday and could miss the next 2-3 months. He'll need surgery to repair the fracture. Larkin was all set to make a first impression in Las Vegas Summer League and will miss the entire 11-day event. If he misses three months, he'll be be doubtful for the start of training camp and could miss some preseason action. It's a tough way to start his career and Gal Mekel will have even more minutes in Vegas. Although, the addition of Monta Ellis limits the upside of both Larkin and Mekel. TULSA, Oklahoma - The Tulsa Shock lost its sixth straight game Saturday night, falling to the Minnesota Lynx, 86-75. Lindsey Whalen scored 25 points to lead all scorers and also dished out 11 assists. Maya Moore added 22 for the Lynx and Rebekkah Brunson had a double-double with 17 points and 12 rebounds. Riquana Williams led Tulsa with 22 points for the game, while Nicole Powell added 16. Liz Cambage scored 13 points and had eight rebounds. Rookie Skylar Diggins went scoreless for the first time in her rookie season and left the game with 3:12 remaining with an ankle injury. Tulsa coach Gary Kloppenburg said after the game it didn't appear to be a serious injury. Poor shooting and poor defense once again doomed the Shock. Tulsa shot just 38.8 percent from the field for the game and allowed the Lynx to shoot an astonishing 67 percent in the first half. Minnesota used that hot shooting start to lead by as many as 15 points in the first 20 minutes. Minnesota grabbed a 31-17 lead with 8:09 left in the first half, but four straight 3-pointers from Tulsa, including three from Williams, cut the lead to six in just 90 seconds. The Lynx responded with a strong close to the half to lead 51-37. Tulsa was unable to prevent Minnesota from blowing the game open in the second half, as the Lynx took a 64-43 lead with 5:43 left in the third quarter. The Shock cut the lead to 13 by the end of the quarter, but Minnesota pushed it back to 22 in the fourth quarter. 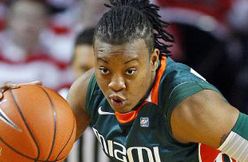 The Shock played Saturday's game without Glory Johnson, who suffered a neck injury on Thursday against Los Angeles. Chris Perez pitched a perfect ninth inning against the Royals on Saturday, preserving a two-run lead and earning his 12th save of the season. Perez needed just 12 pitches to dispatch of the three Royals hitters he faced, including a strikeout of Alcides Escobar to end the night. Yasmani Grandal needs reconstructive ACL surgery on his right knee. The Padres didn't provide a timetable for his return, but the normal recovery time is 9-12 months, which means he could miss a good chunk of next season. 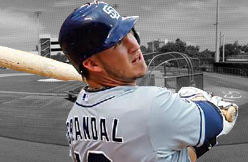 The injury, combined with his PED suspension, will result in a ton of missed time for the 24-year-old Grandal. Nick Hundley will handle the catching duties for the Padres. According to Bill Madden and Teri Thompson of the New York Daily News, Alex Rodriguez's legal team is internally discussing a possible plea deal in the wake of Friday's interview with MLB's investigators regarding the ongoing Biogenesis scandal. It is believed the league broached the subject of settlements during their meetings with Ryan Braun and other players as well. According to the sources, a 150-game suspension might be the best that could be expected for Rodriguez, who is rehabbing from hip surgery with high Single-A Tampa and was chastised by the Yankees Saturday for failing to report to the team's complex for Friday night's game following a four-and-a-half hour meeting with MLB officials who outlined their case against him. Meanwhile, an A-Rod spokesman told The News Saturday night in reference to a possible plea deal that “nobody from Alex's team has made any such comments, and as we have said before, we are respecting the process and following the procedures as outlined in the joint agreement." Under the Joint Drug Agreement, players are suspended 50 games for their first violation, 100 games for the second, and a lifetime ban for the third. A 150-game suspension is not specified in the agreement. The Daily News coverage alleges that MLB, who is working with Biogenesis chief Anthony Bosch, has extensive evidence -- including testimony from Bosch -- that A-Rod "committed multiple violations of the Joint Drug Agreement, including acquiring performance-enhancing drugs from Bosch for several years." Rodriguez, 37, is working his way back from offseason left hip surgery and has not played this year. He is currently on a minor league rehab assignment that expires one week from Monday. No player is paid during a drug-related suspension. A-Rod still has four years and nearly $100 million remaining on his contract after this season. Biogenesis, an anti-aging clinic in South Florida, has been under investigation by MLB for potential ties to performance-enhancing drugs. Bosch agreed to cooperate with the investigation after being threatened with a lawsuit. CHICAGO • There have been nights this season when Cardinals’ Class AAA infielder Ryan Jackson leaves AutoZone Park, located three blocks off of Beale Street, for the short stroll to his hotel room with a bat in his hand and a swing on his mind. He’s walking in Memphis, searching for that feel. And he doesn’t care how it looks to passersby. What Jackson has done with a bat in his hand inside that ballpark has helped the young infielder reappear from the curious limbo he found himself in at the end of last season. The result of poor timing more than poor performance, Jackson went from the first shortstop promoted to tumbling down the depth chart as spring started. Pete Kozma seized the role Jackson could have had if not for the situation, and he left the season aware his game had to improve to regain his standing. He needed to refine his play in the field. He needed to alter his approach at the plate. The early returns have been steadier and include recently increased play at shortstop for the Triple-A Redbirds and a .305 average, down from .345 he hit in May but helped by a four-hit game Wednesday. He didn’t need to carry the bat home that night. “I’m a better player this year, and with being a better player comes more confidence, something I didn’t always have,” Jackson said. “Last year, my approach wasn’t that great. Last year was a learning experience. I had my faults. Everything had to improve. The Cards quietly have reassessed the shortstop position at the big-league level as Kozma has fallen into a profound funk at the plate. The rookie infielder pinch-hit Saturday with the tying runs on base, but grounded out to end the Cardinals’ 6-4 loss to the Cubs. He now is in an 0-for-27 spiral, and in his past 32 starts and previous 125 plate appearances had a .184 on-base percentage and a .213 slugging percentage. Kozma has 29 strikeouts and three walks in last 121 plate appearances. Daniel Descalso started at shortstop for the sixth time in nine games Saturday and a platoon has developed — if not by name certainly by actions. The Cardinals also are keeping tabs on the market for available shortstops as the July 31 trade deadline approaches, window-shopping they started last winter. ESPN recently connected the Cardinals to Cleveland’s Asdrubal Cabrera. The Cardinals and Indians discussed Cabrera this past winter but the asking price for the shortstop was steep. Other teams are seeking the Cardinals’ top starting pitching prospects in deals, and the Cardinals are reluctant to part with them for a short-term solution at a position they can fill from within, for now. Cardinals manager Mike Matheny has remained steadfast in his support for Kozma, a former first-round pick. The feeling internally is that Kozma is the superior defensive option at the position, ahead of Jackson in the field. In the Cardinals’ win Friday against the Cubs, Kozma had a backhanded play and throw to second for an out that squelched what could have been a game-tying rally for the Chicago. Meanwhile in Memphis, Jackson has been considered for a promotion. Described by fellow players and former coaches as “a baseball rat,” Jackson entered 2012 as the more highly regarded prospect at shortstop. Good instincts made up for average speed, and he was nimble enough to handle the range. His bat stirred for 11 homers and 48 extra-base hits to go with a .278 average at Class AA in 2011. The Cardinals moved Kozma to a utility role in Memphis in order to install Jackson as the starter. 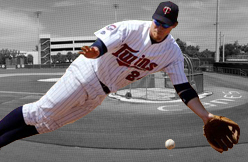 And when an infielder was needed in the majors in August 2012, Jackson got the call. His promotion started the fall. Jackson debuted against Philadelphia at second base, a position he had rarely played, and did so with groundball-getter Jake Westbrook on the mound. Jackson committed an error, took a ball off his shoulder, and struggled. 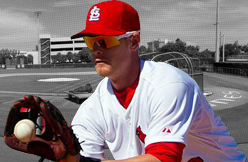 Jackson’s playing time was limited in the majors while Kozma took over at shortstop in Memphis. When Rafael Furcal’s elbow unraveled at the end of August, the Cardinals needed a shortstop. Kozma had been playing it more regularly than Jackson. One week either way and Jackson gets a crack. Instead Kozma took off, helping the Cardinals to the postseason. Jackson’s play sagged and some felt his body language followed. Officials talked to him about both. The shortstop acknowledged that with Memphis’ struggles last season he wore the standings on his sleeve. But a change started the day after that debut in Philadelphia. Coach Jose Oquendo brought him into a room to watch film of his plays in the field. Jackson saw a play in which he dived for a grounder hit by Chase Utley to complicate a play he could have made easily if he had stayed on his feet. That became a mantra for this season, and has helped him increase the plays he makes that appear routine. Hitting coaches Mark McGwire and John Mabry told him “things I never had heard before in language I could understand about my approach,” Jackson said. He shortened his stride to steady his head and keep the barrel of the bat in the strike zone longer. That was what Mabry told him late last season and it echoed through the winter. The day he went back to minor-league camp this past spring, his offense clicked. His .305 average and .381 on-base percentage rank second in the Pacific Coast League among shortstops. It’s no longer a riddle where he fits, just a question of opportunity. And then, of course, what he does with it.